Pressure pumping implies the translation or creation of fractures within rock layers, through the use of specialized fracturing fluids. Cement is then pumped into the well bore, completing the fracturing process. This is one of the key extraction techniques being used in shale gas and tight gas, along with other similar procedures associated with the extraction of resources from reservoirs with lower than average permeability. This also includes the extraction of unconventional liquids from sources or reservoirs that cannot otherwise be extracted using conventional drilling methods. Typically, pressure pumps or even pressure pumping services are given to players from the oil and gas industry, by a host of players that classify them as their end users. One of the primary drivers propelling the global pressure pumping market at the moment is the increasing demand for fuel and energy across the world. While the global population and energy consumption increases, the power sector is struggling to keep up with the demand based on the current reserves and stockpiles of conventional fuels. As a result, greater degrees of investments are being made on the use of unconventional exploration and extraction methods, including pressure pumping. 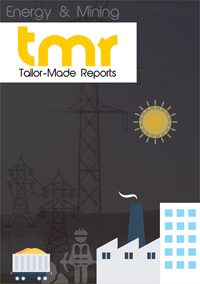 The potential of increasing recoverable resources as well as amplifying fuel generation is thus being the primary factor working in favor of the global pressure pumping market for now. A lot of countries are treating natural gas as the intermediate fuel between fossil fuels and renewable energy sources. This could potentially increase the scope of the global pressure pumping market over the coming years. With increasing attention given to renewables, nations are still facing the struggle of meeting the incremental demand of energy through these sources. As a result, governments are moving in favor of unconventional fuels and the natural gas industry as a whole, thereby propelling the global pressure pumping market as well. India has been one of the more recent nations showing heightened interest in shale gas exploration. The country has gaged a recoverable shale gas reserve of close of 96 tn cubic feet and the Indian government is already taking steps to extract these reserves. Indian players such as ONGC are already planning and investing in shale exploration, further increasing the scope of the pressure pumping market in the region. South Africa is another potential candidate for players from the global pressure pumping market, as the South African government had recently revealed its intentions of shale gas developments in its vast reservoirs in the Karoo. North America is expected to continue being the leading region in the global pressure pumping market over the coming years, a factor attributed to the high rate of importance currently given in this region to shale exploration. On the other hand, the regions of Asia Pacific and the Middle East are still in a nascent phase in the pressure pumping market. There are still multiple organizations against the use of pressure pumping and shale exploration, primarily due to the negative environmental impact that these exploration strategies can have in the long run. At the same time, these regions are likely to come under the spotlight as the market in North America nears complete maturity. Some of the players in the global pressure pumping market that have so far shown great potential include Baker Hughes, Key Energy Services, Halliburton, Schlumberger, Frac Tech Services International, Weatherford International Inc., Sanjel Corporation, Calfrac Well Services Ltd., RPC Inc., and Trican. The competitive scenario in the global pressure pumping market is expected to intensify over the coming years, as more and more regions are showing a positive inclination towards the exploration of shale gas.